Our Boston drunk driving accident lawyers know many victims will need to find a way to recover their losses even if the at-fault driver was uninsured. 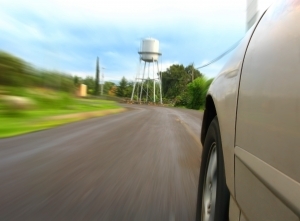 One of the ways you may be able to accomplish this is through Uninsured Motorist Coverage. According to a recent story in the Daily News, an alleged drunk driver hit two cars, causing a fatal traffic accident. One of the victims was a 16-year-old boy who was behind the wheel of one of the cars that the defendant hit. The boy died from a result of the injuries he sustained in this alcohol-related car crash. The suspected drunk driver also sustained injuries and was rushed to the hospital. Police said he smelled strongly of alcohol at the time of the crash. Doctors took his blood so that a blood alcohol concentration (BAC) could be established. The suspect was not immediately arrested. He was released from the hospital and went home. Once home, he posted a picture of the front-end of his car that was heavily damaged. According to the driver’s statements, he was unaware that the had injured or killed anyone. He just knew that he had hit something. He was later arrested on charges of drunk driving related homicide and other alcohol-related traffic charges. According to police, the man also was driving with a suspended license, due to the fact that he was previously cited for driving without insurance and was also on probation for a charge involving terroristic threats. In a situation like this, it is likely that the driver does not have any car insurance, because an unlicensed motorist is usually not insured. There is, however, the possibility that the owner of the vehicle has liability insurance that would cover the loss suffered, but that is not always the case. In an accident like this, the car accident victims may have to seek reimbursement from their own insurance company on their Uninsured Motorist (UM) plan. UM is insurance coverage that you can purchase when purchasing standard liability converge that will cover you for losses that are caused by a driver who does not have insurance. Many people have UM coverage and do not know it. The law in the Commonwealth of Massachusetts requires certain steps to be taken involving the offer of UM insurance; so, many people have the coverage. While this is good news for those who have experienced pain and suffering, lost wages, medical bills, and other special damages caused by a drunk driver, the hard part may be getting your insurance to actually pay your claim. Insurance companies often treat their own customers the same as they would treat someone making a claim who has no relationship with the company. The insurance company is only really interested in paying out as little as possible on claims, regardless of who is making the claims. The best thing you can do help get a fair recovery under your UM policy is to contact a Boston drunk driving accident lawyer as soon as possible, so that they can assist you with this process.